Here’s a fact: I am not a monsoon person. I just am not! While others see beauty in this season, I only see four months of inconvenience and bad hair days. Come monsoon season, my hair and skin have a personality of their own. They start to behave like ill-mannered children and no amount of taming, begging God can control them. However, this year I finally decided to make sure that I am in control of the uncontrollable. Even before the monsoon clouds hit Bombay, I was ready to face the rainy season head-on. After much experimentation, trying and testing here are a few of my monsoon must-haves skin and hair care products -for oily plus sensitive skin and combination oily scalp and dry hair-as well plus my fave makeup product. Moisturizer: Since I have oily skin, for the longest time I used to never use mosturizer in summer and monsoons. All this changed when a friend pointed out that one has to use mosturizer year round; just make sure it is both skin and season friendly. I have been using Acnemoist (prescribed by my dermatologist) for a few years. However, this year I decided to swap that for good old Lacto Calamine. I originally started using Lacto Calamine-Hydration- when I got a heat rash, and since it worked wonders I have continued to use it through the monsoon season. So far no complains. tighten open and enlarged pores and helps correct P.H. balance of the skin. What I love about The Body Shop Vitamin E Hydrating Toner is that it helps control the excess oil without eroding the natural oil of the face skin. The end result is smooth, non-shinny skin. Since it is alcohol free it is ideal for oily, acne-prone and sensitive skin. Lip Balm: I am someone who is blessed with healthy lips. In fact, that is the only part of my face I do not need to worry about. Two reasons why I have healthy lips: One, I drink ample water, two, I use lip balm year round. After using a non flavoured one for a while, I wanted a flavoured on but a non-fruity for a change. I decided to get myself Nivea's 'Soft Rose' lipcare tube and totally feel in love with its gentle rose scent (there is no discernible taste on the lips). Since it is tinted in nature it adds a hint of soft pink colour and sheen to the lips. It does a great job at moisturizing and protecting (SPF 10) the lips and gives them a fresh and healthier look. Body Wash: In a weather where most of us need to take a bath twice a day, a shower gel is a great way pamper the skin. My mom recently picked up Nivea's new shower gels - Power Fruit Relax and Water Lily and Oil. While my mom is totally in love with Water Lily and Oil, I prefer the Power Fruit Relax one. I love the pleasant fruity fragrance it has and along with cleansing it moisturizes the skin making it soft and smooth. Hair Serum: Sometimes, I feel there is not enough hair serum in the world to get me through monsoon. For a while now, everyone I know has been raving about a miracle called Moroccanoil. 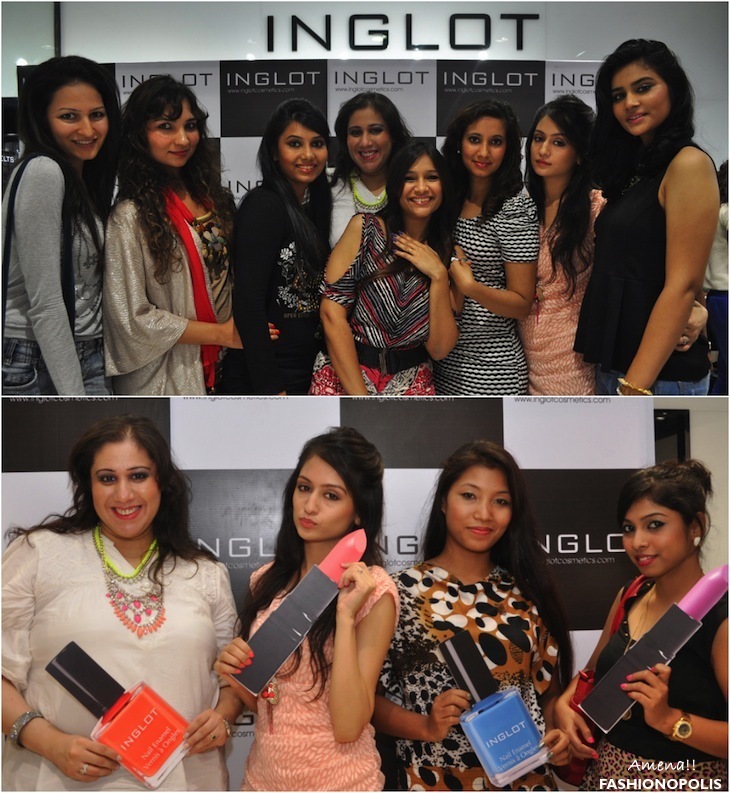 I finally understood what they were saying when I got a chance to try out their products at its launch event. Since them I too have become a fan of their products, especially Moroccanoil Treatement 'Light'. This is an ideal hair serum for fine hair like mine. Along with protecting the hair it also eliminates frizz and provides a lovely shine. The best feature is that is non-sticky and does not leave any kind of residue. If you have an oily scalp and dry hair, Moroccanoil Treatment Light is an ideal product. I can't wait to try out their shampoo and conditioner after the monsoon. Body Mist: I love perfumers, but in monsoons I prefer using body mist. They are light and refreshing. I do not step out of the house without spraying a healthy dose of body mist. In fact, every bag of mine has one body mist in it. Body mist helps control body odour and freshens you up. My current faves are The Body Shop's 'Moroccan Rose', Victoria's Secret's 'Sweet Daydream' and La Senza's 'Body Kiss'. 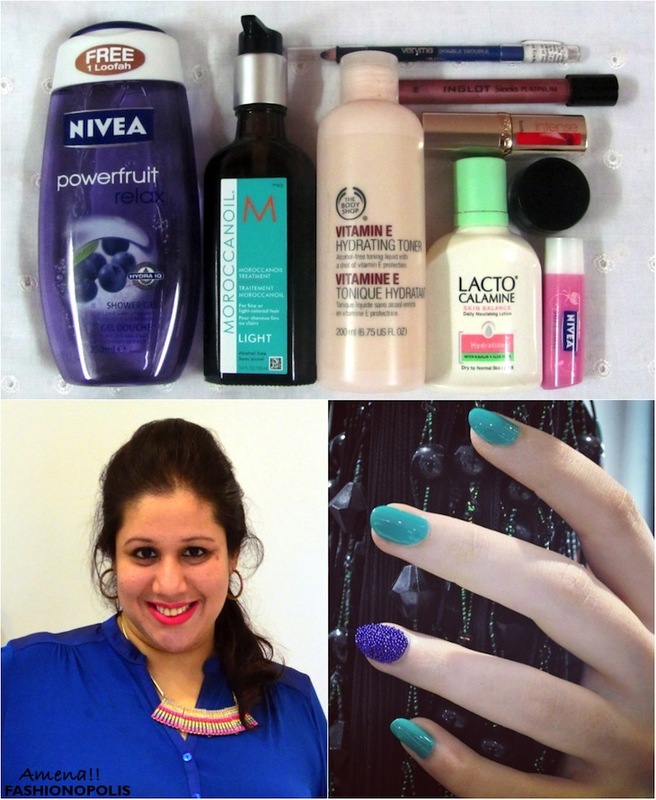 My monsoon season must-have beauty and make up treasure trove. Coloured Eye Pencil: As much as I love my classic back kohl eye pencil, I am currently loving the colourful variant; electric blue being my favourite. I love the instant colour pop it adds to a look. The biggest problem with blue eye pencil is that they smudge very fast. On oily skin that can be a very problematic thing. However, that is not the case with Oriflame's Very Me Double Trouble 'Blue Lagoon' eye pencil. They offer two very pretty shades of blue-dark and light- that do not smudge easily as well as last for a good amount of time, especially when applied on the eyelid. Bright Lipstick: My name is Amena and I am a lipstick junkie. While I love all shades of lipsticks, I have always been partial towards the bold and bright shades. My summer was all things red and now I am crushing on shades of pink. While I have a few pink shades, my current fave is L'Oreal Paris' 'Pink Passion'. Ever since I got it I have literally been wearing it to every outing. For starters, the shade is eye catching, plus, the lipstick is very well hydrated, making it easy to apply. Great colour, smooth application and long lasting, a total win-win situation. Colourful Nail Polish: Ever since nail art became a phenomena, colourful nail polishes have been a hot fave. 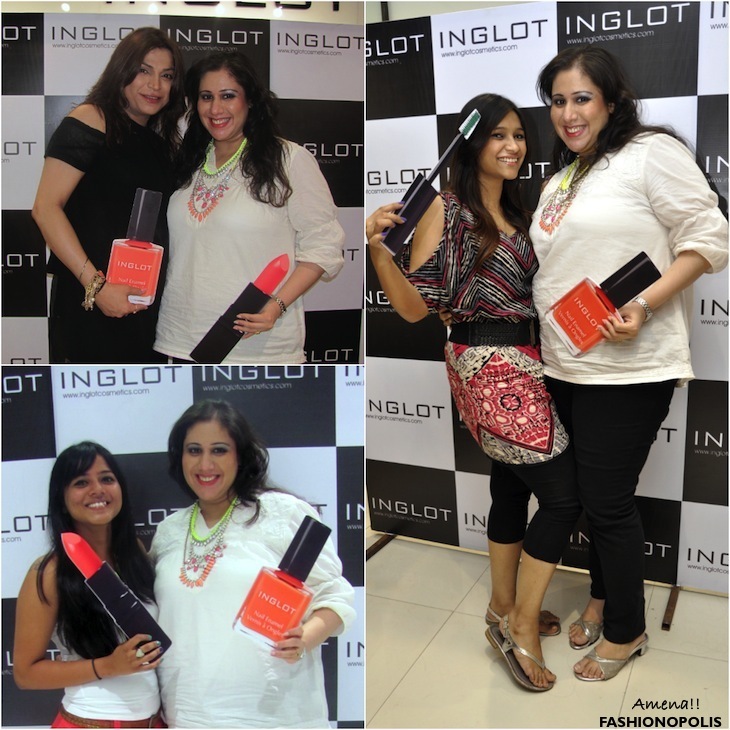 I recently had a chance to try out Inglot nail polish. A wide variety of colours to choose from, it is a must buy for all nail polish lovers. For starters, the nail polish does not chip off easily, in fact it last for a good 10 days and most importantly it does not leave a residue after removal. Gel Eyeliner: I have never been able to master the art of applying liquid eyeliner. When gel eyeliners were introduced i the Indian market I instantly feel in love with them. They are easy to use and have a very good lasting time. From the moment it was launched I have been using L'Oreal Paris Super Gel Eyeliner. It is the only gel eye liner I have used. Along with being oily skin friendly it does not smudge or run easily. I wear lenses and the liner has never hampered or spoilt the lenses. For someone who wears eye lens a non-flaky, non-irritating, water proof eyeliner is a catch. Lip Gloss: While I am obsessing over bright colour lipsticks, my lip gloss preference is more towards the neutral shades. Just something to add a hint of colour and shine to the lips. I am currently using Inglot's Sleeks lip gloss. 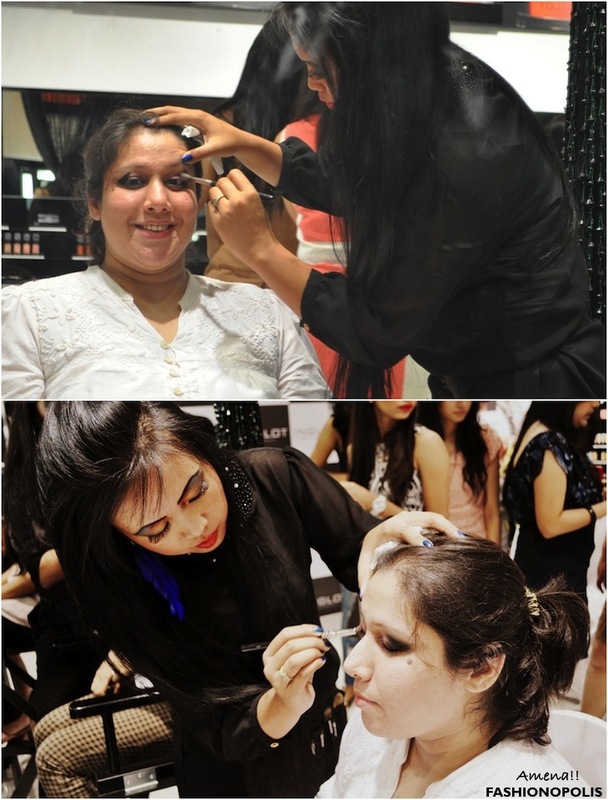 What I really love about it is, it helps me enhance my natural pout and give a lovely shine to the lips. After using this lip gloss, I can't wait to get my hands of Inglot 3D lip gloss. That is bound to be something! Since I have oily and sensitive skin I stay away from thick foundation. I am currently looking for an oily skin friendly compact or base that will help control the shine and excessive oil from my face. Please Note: The beauty and make up products mentioned above are not exclusive to monsoon season and can be used year round. 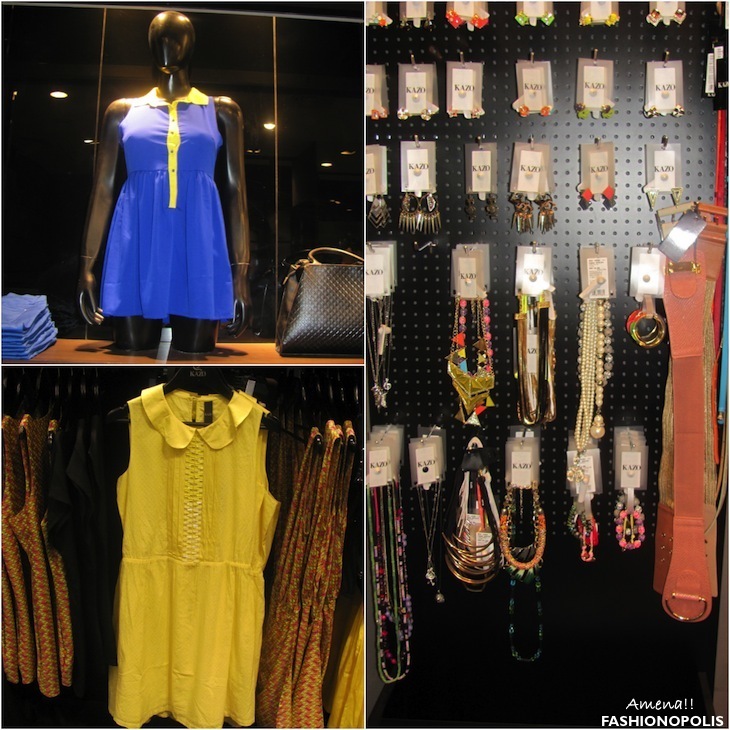 Since I have been benefiting from them in the monsoon, they have been featured on my monsoon mush-have list. Before using any of these products please make sure that they are the right match for your skin and hair type. All products have been tried and tested by me for over a period of 2 weeks. 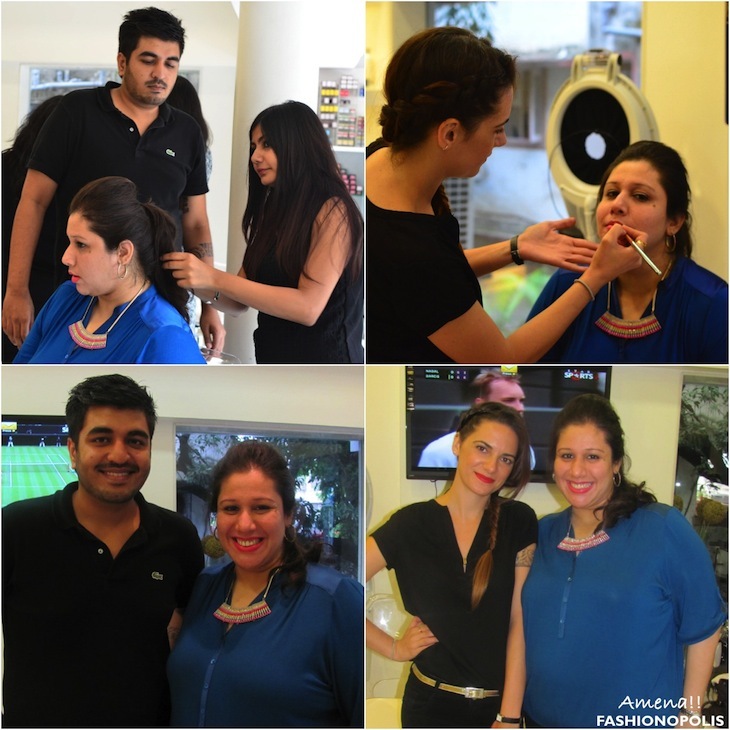 What all do you do to take care of your skin and hair during monsoons? 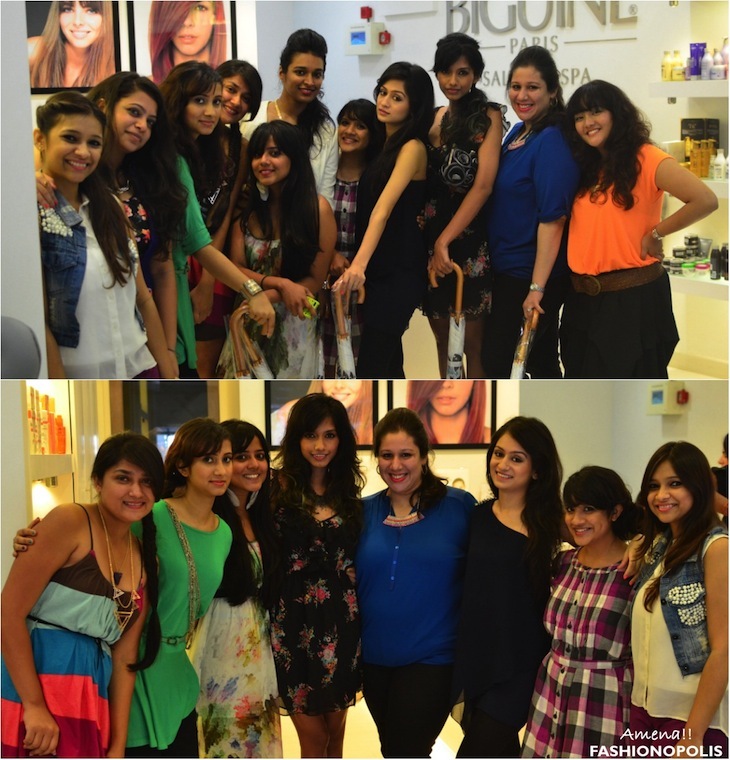 And what are your monsoon beauty and make-up must-haves? Share your views with me in the comment section. 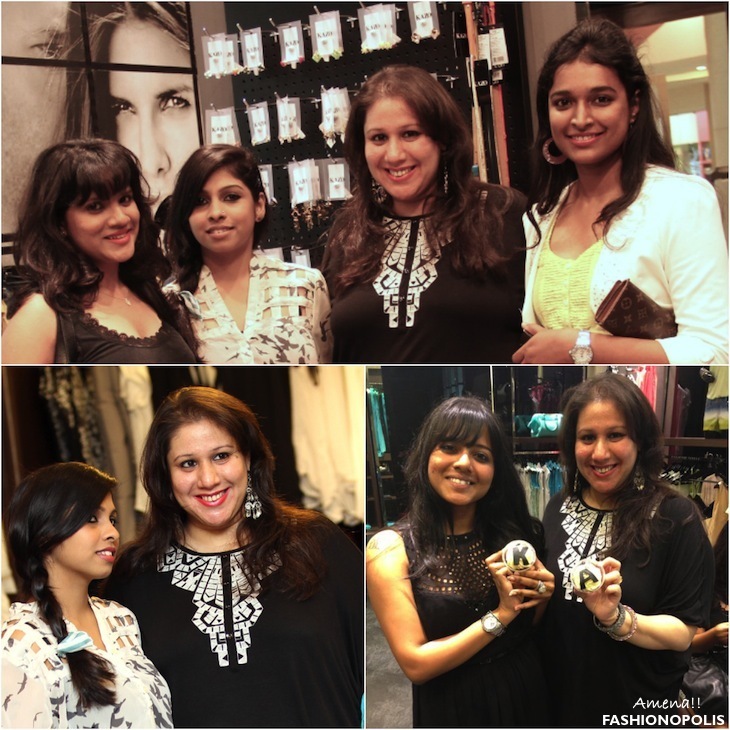 I was recently invited by Kazo for an exclusive Bombay Bloggers meet. I have to be honest- this was my first time visiting Kazo store. After spending some time going through their Spring-Summer 2013 collection, I must say I am glad I finally had a chance to visit it. 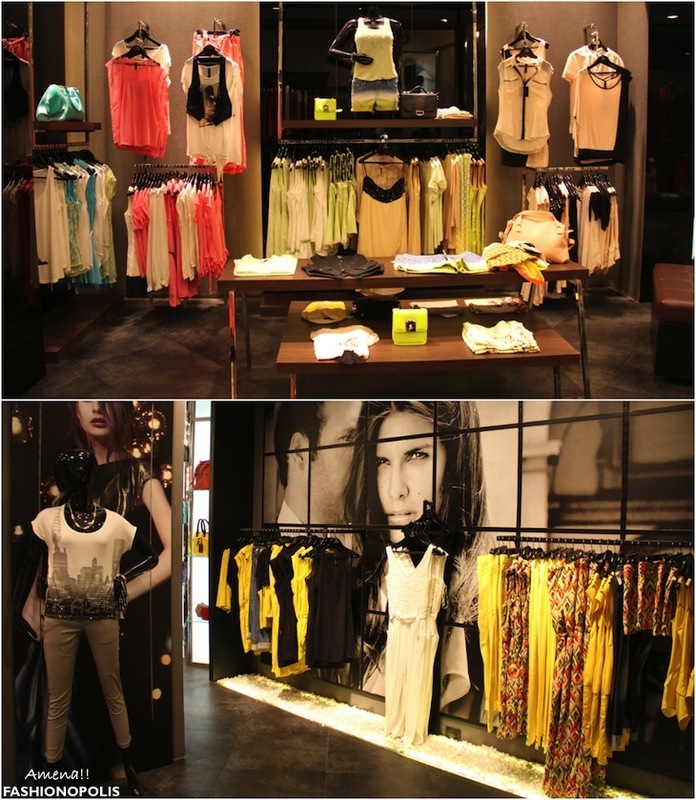 The latest collection offered a wide array of bright colours, trendy prints, delicate laces and statement making accessories. 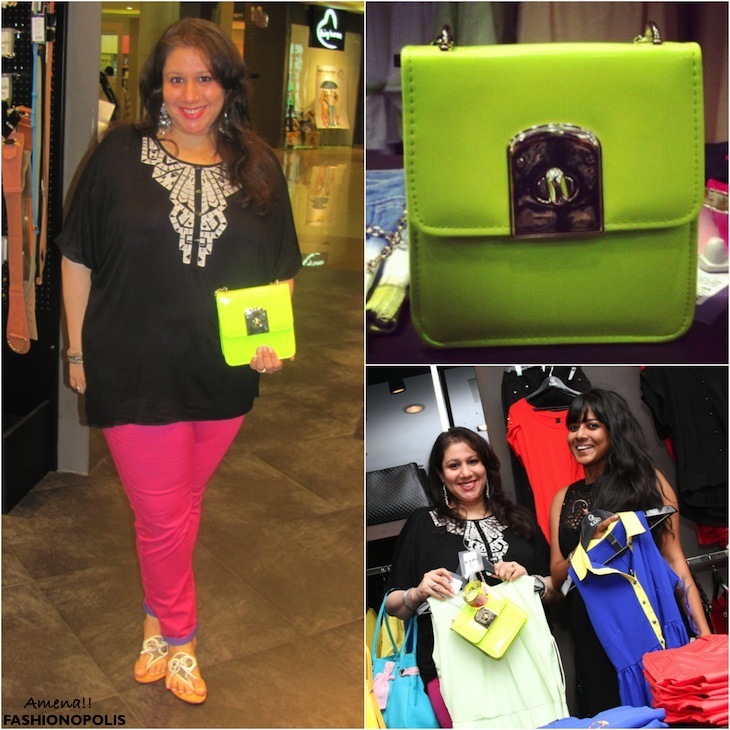 From the moment I entered the Kazo store my eye and heart was set on this stunning, juicy neon green sling bag. After much styling and posing with it, I can happily say I am now the proud owner of it! The entire afternoon was a fashion bloggers dream date. 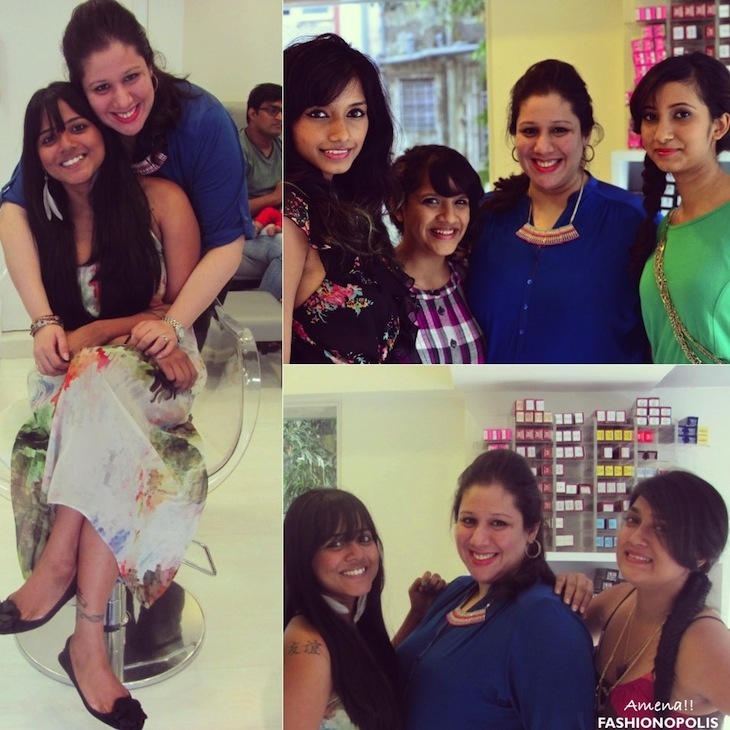 Great clothes, fun styling session, great company and delicious cupcakes. All you need to do is participate in this GIVEAWAY and you could be the lucky winner!!! 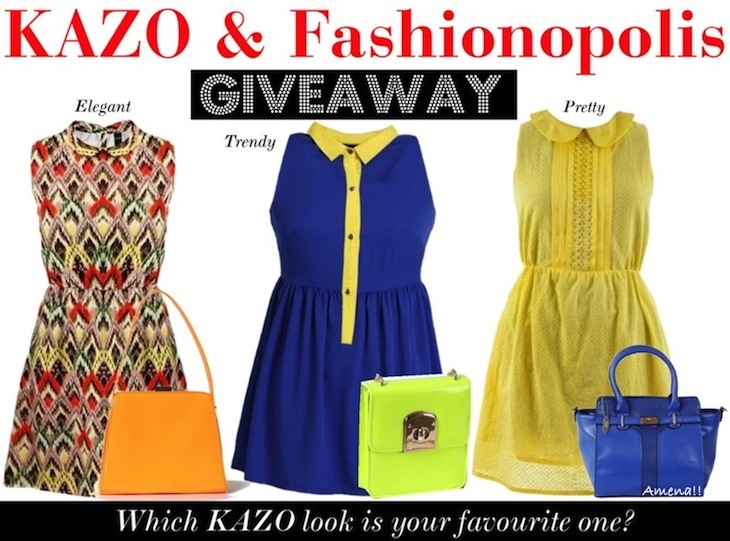 What do you think of Kazo's latest collection? Share your views with me in the comment section. Sometime early 2000's, Gayle King, Oprah's best friend, went on a search for 20 best burgers in America. My search is a little less ambitious. I am on the hunt for the ‘Most Comfortable Outfit’. Form, how does a 'comfortable outfit' look and feel to what one thinks about comfort in the fashion perspective, I asked all the relevant (and irrelevant) question. What better place to start my research than the holy shrine of fashion conscious people: the gym. With such a wide array to choose from, it suddenly seemed very difficult to pick one piece of clothing and label it ‘comfortable’. For starters, no two women would have selected the same things. One has to ask, is there such thing as a 'Most Comfortable Outfit'? Plus, who gets to decide which outfit is comfortable and which is not? And most importantly, whom do I go to for these answers? Comfort is Style: I had to start some where. After much deliberation, I started with my favourite ageless, weightless gym friend. Her opening line was, “Style is comfort! If it’s not stylish, I won’t be comfortable in it” . 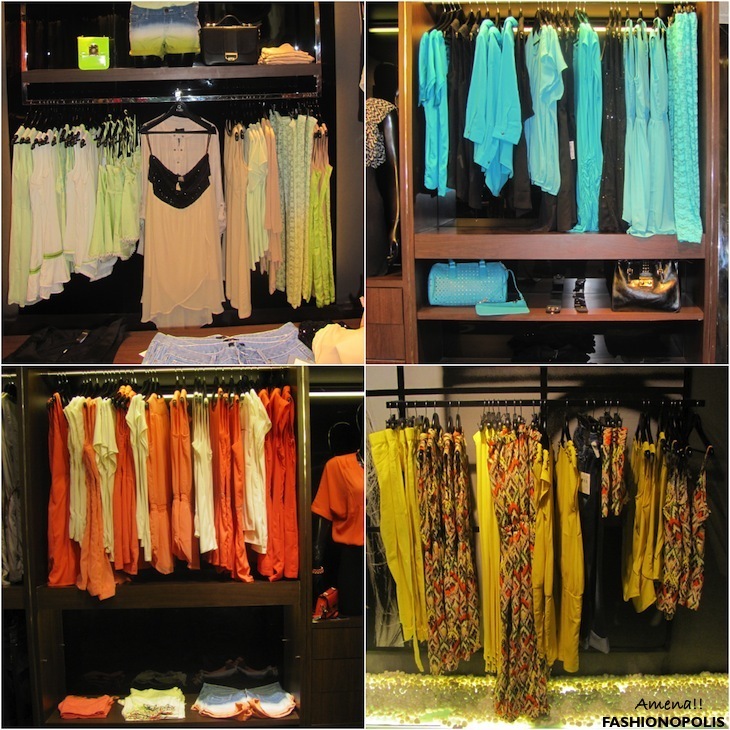 For her, the most comfortable outfit is an extremely well fitted, well finished designer/branded piece. She H.A.T.E.S. loose- fitted ‘sloppy’ garments. “Yes, it is possible to be comfortable without looking like a total slob.” For her, being comfortable mean looking stylish. My gym friend's preference of clothes made me re-think the original dichotomy of style vs. comfort. The classic myth has been, anything that is stylish won’t be comfortable. And yet, my friend opts for un-breathable designer skinny jeans and treacherous stilettos’ over comfy lounge pants and ballerina flats. Moral of the story: One women’s torture could very easily be another women’s comfort! Comfort is cost-effective and hassle-free: My friend got me thinking, feeling comfortable is more a state of mind than anything else. The next few days, I discovered new personalised versions of the word ‘comfortable’. One fine day I ran into my youngest brother’s ex-tuition teacher. Without trying to, she added to my growing comfort vocabulary. She jokingly asked me, why don’t you fashion designers make clothes that are durable and affordable? Why is everything so exorbitant and requires as much care as a newborn baby? “I feel very, very uncomfortable just trying out those expensive delicate-darlings; can never imagine wearing them, ever”. She unknowingly gave me a new dimension to explore. Proudly stating her most comfortable outfit is something easy to buy and take care, cost effective and stays in fashion for more than just 2 weeks. “Sasta, sundar, tikau!” was her comfort philosophy. Comfort is being different from everyone else: Sale season is one of the best times to buy sasta, sundar, tikau goodies, plus observe people shop. They buy more than they need, and since it is 50% off they do it guilt free. I too was indulging in my own little guilt-free retail therapy when I ran into my friend’s new girl friend. Out of sheer curiosity, I asked about what is her comfort mantra? “Something very different and unique from what everyone else wearing”. She could handle wild, whacky and statement making, but anything that is run-of -the-mill is a big no-no! She vehemently refused to be a salve to mainstream fashion trends and rules; her comfort was in being an absolute fashion trendsetter instead of follower. Comfort is simple over flashy: After my impromptu chit chat with her, I went back to my shopping. “Something very simple” said a polite voice on my right side to a harrowed sales staff. She said simple he showed plain, she said white he showed her matronly, she said lightly embellished, and he brought out the bling. “All this jhatak-matak makes me very uncomfortable. Show me something not so flashy”. Finally giving-up on the sales staff, she decided to go look for herself. Stocked up on simple, yet elegant pieces she walked out as one happy customer. Physical Comfort is Fashion Comfort: My quest for finding the most comfortable outfit made me wonder what am I most comfortable in? Like everyone, my definition of comfort is also an amalgamation of many things. For me, brands, price points or lastest trend are not the most important aspect. What I am most comfortable in is something that fits well, hides my flaw, complements my body type and gives me a certain amount of confidence. 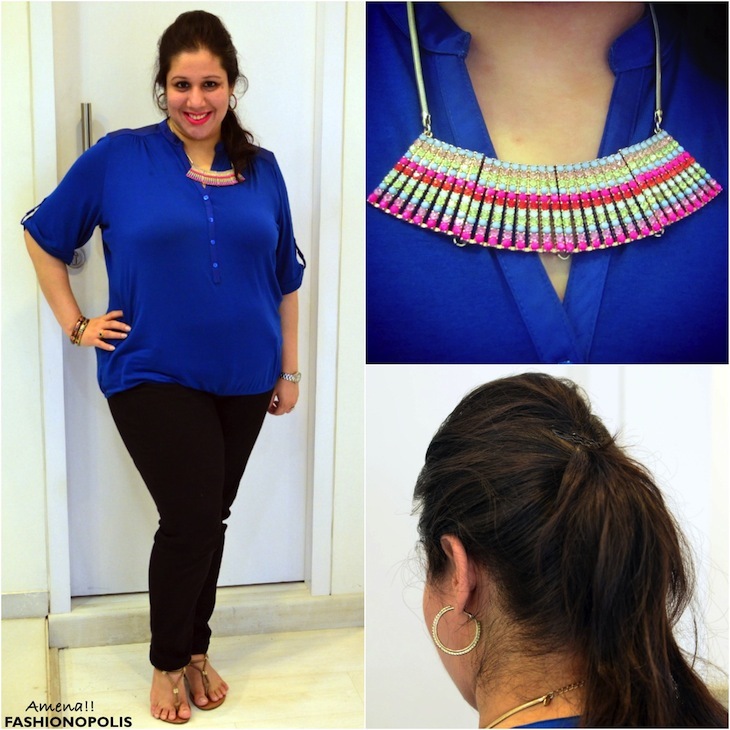 I prefer well-fitted to body hugging, flats to heels and bright colours to neutrals. I love fashion and dressing up, but, I also know my physical limitations and at no given time am I slave to any particular trend or style. 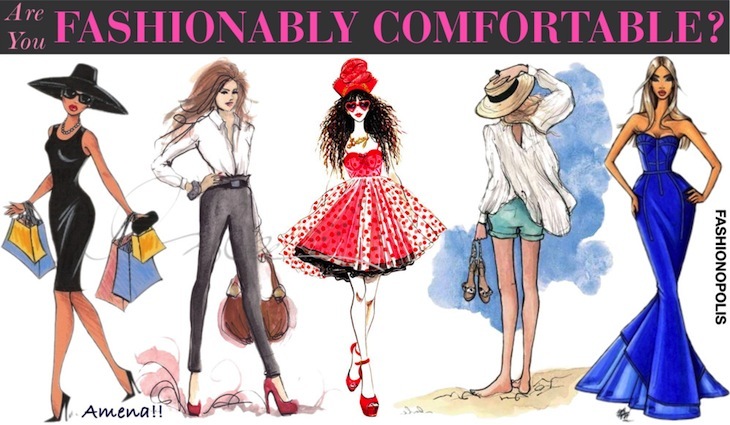 For me, physical comfort is also fashion comfort. While I may of not found the 'most confortable outfit', one thing I know for sure is, the meaning of comfort from the fashion perspective is as ambiguous and subjective as it is anywhere else. The definition shifts from being physically comfortable to mentally feeling it. Requiring no set rule or basic parameters, each one can decide what he/she thinks is comfortable. The best way I can define comfort in the fashion context is- the complete freedom of dressing your self. The only question you need to ask is - are you fashionably comfortable in it?